Blue / Black interior. Invoiced to Shelby American on 11/28/66. 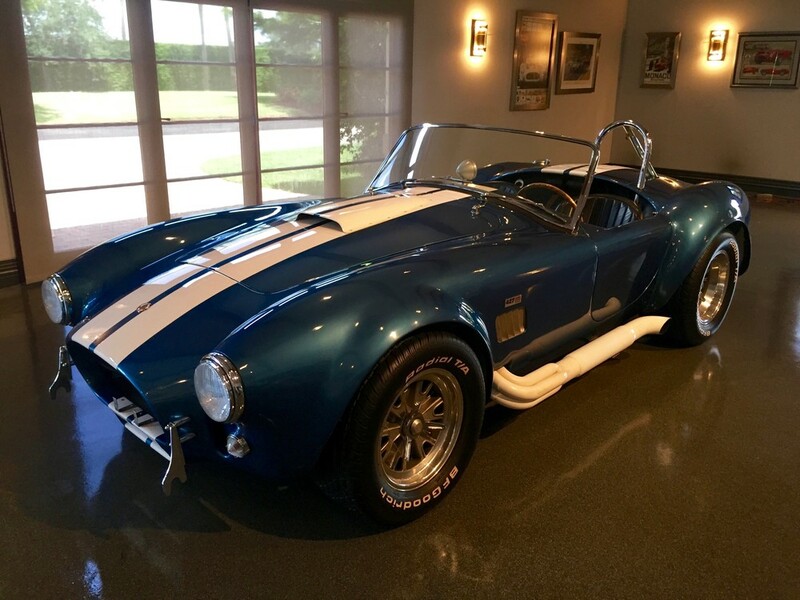 Fitted with a 427 featuring a single 4V carburetor, the car delivered on 10/26/67 to Jack Lotus Ford (Hinsdale, IL). 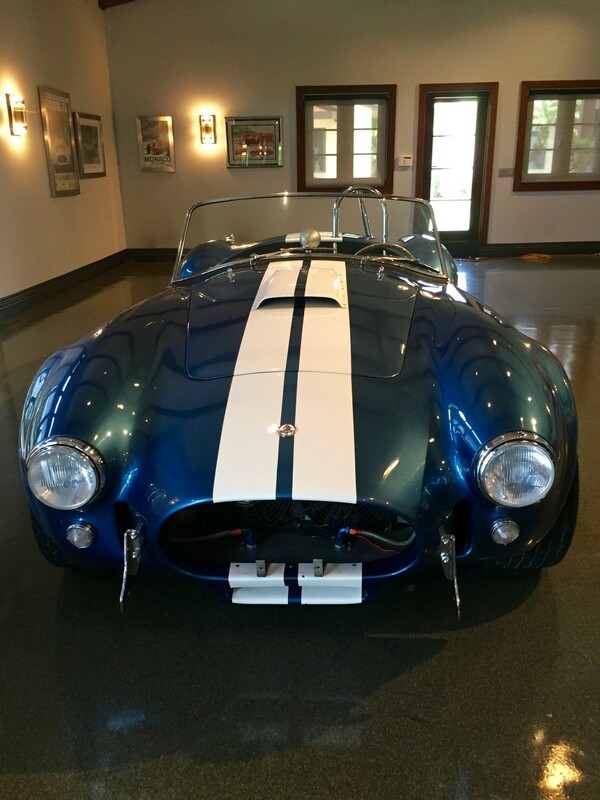 The car's first known owner was Col. Loren A. Pearson (Topeka, KS) who modified the street Cobra into an SCCA A-Production race car. 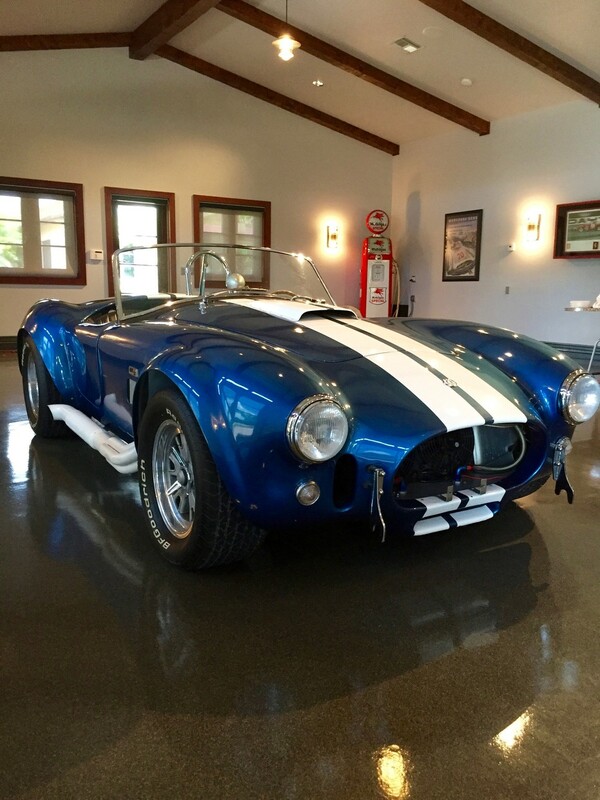 A full-width black roll bar mounted behind the seats with two rearward braces through the rear cowl, was installed along with a hood scoop, a custom oil cooler/oil cooler scoop, 7.5"/9.5" Halibrand wheels, white side pipes and a full-race 427 engine. Seen most often using # 51. The car was raced less its front bumper but usually with its chrome rear bumpers in place and a partial, steeply-raked windscreen. With class wins at Hutchinson, KS and Castle Rock, CO (among others) in '71, similar results at the '73 and '74 events as well. Other race results are unknown. The last photo shows Col. Loren Pearson coming down the front straight at Road Atlanta during the 1974 ARRC runoffs.